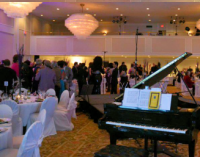 Events range from Grads, Bar Mitzvahs and Family Reunions to Retirement Parties and themed Birthday Parties. The stress and pressure of creating a social event for family or friends can be a monumental undertaking. These types of events generally become quite emotional. That is when you might want to consider speaking with our Creative Director Brian Twerdun or one of our Event Specialists for some guidance in designing and decorating your Social Event.